I was checking the publication dates for some upcoming Mash Ups, etc. and discovered that The Secret History of Elizabeth Tudor, Vampire Slayer is being published on December 21, 2010. 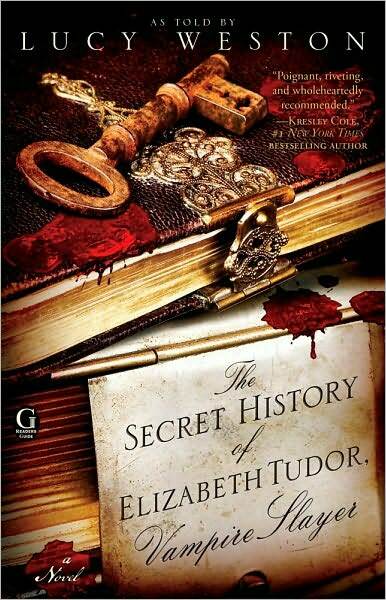 I love Twisted Histories so this book is on my must buy list. 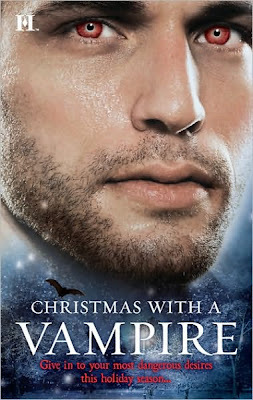 Revealed at last in this new vampire saga for the ages: the true, untold story of the "Virgin Queen" and her secret war against the Vampire King of England. . . .
As told by Lucy Weston, the vampire prey immortalized in Bram Stoker's Dracula, this spellbinding account will capture your heart and soul—forever. The author, Lucy Weston, has a website here. Obviously this is a pseudonym. Sea Lion Books has announced that it has acquired the novel rights to Richard A. Knaak's Dragon Mound, which will be published next year. Sea Lion Books to publish Richard A. Knaak’s original novel “Dragon Mound”, the first book in a new fantasy trilogy. ATLANTA, GA – (November 30, 2010) – Sea Lion Books announces the acquisition of the novel rights to Richard A. Knaak’s Dragon Mound. 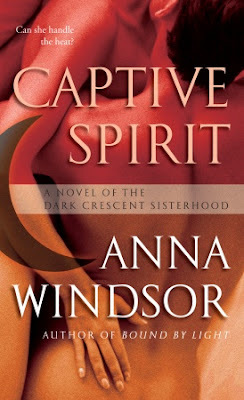 This first book of the Knight in Shadow trilogy is scheduled for publication in the Summer of 2011. Richard A. Knaak is the renowned author of and/or contributor to several acclaimed series including; Dragonlance, The Dragonrealm, The Age of Conan, and many WarCraft novels. 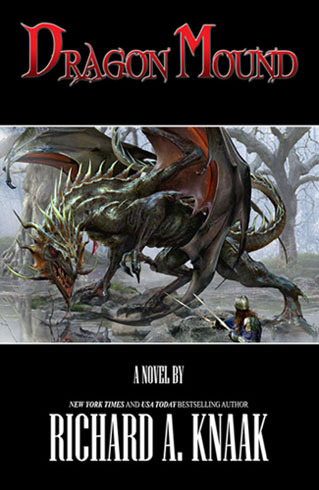 In Dragon Mound, the first novel in his new series, two hundred years ago three kingdoms united under the wizard Paulo Centuros to end the dark reign of the sorcerer-king, Novaris. The kingdoms won the hard fought battle, yet the war was not over. A search of the battlefield revealed the dark sorcerer has escaped his justice. Until Novaris is truly destroyed, “even dragons may not rest easy in the forests surrounding the battlefield.” The wizard dispatches the knight Evan Wytherling to find Novaris. His quest brings him full-circle to the battle that began his epic quest. But vengeance is the sword of the dark sorcerer and though centuries have passed, the legacy of his dark power still threatens to sweep over the three kingdoms. 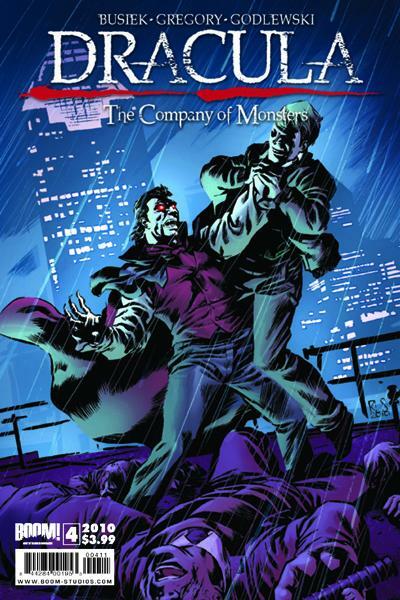 Publication of this series has been a project Mr. Knaak has been plotting for awhile. “This has been a favored project of mine, a tale I’ve looked forward to telling.” Dragon Mound will be followed by Wake of the Wyrm and The Twilight Throne, both are tentative titles. Rich with characters, and fascinating worlds, Dragon Mound is ripe with betrayal, vengeance and a myriad of paths leading to the truth. “We are extremely thrilled to have the opportunity to bring Richard A. Knaak’s Knight in Shadow Series to life,” said Derek Ruiz, Executive Vice President, and Publisher of Sea Lion Books. Our partnership with Richard is another step in the right direction for Sea Lion Books with our continued desire to bring the best of the best to the book and graphic novel market. Richard A. Knaak was born in Chicago, Illinois. Today he divides his time between Chicago and Arkansas. 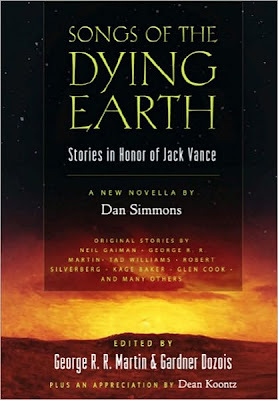 After graduating from the University of Illinois with a Bachelor’s Degree in Rhetoric he discovered the books of authors Andre Norton, Edgar Rice Burroughs, and Roger Zelazny. That discovery prompted him to read more books in this exciting genre and in 1987 his first work was published. Since then, Mr. Knaak has written a vast body of work. Best known for his Dragonrealm, Dragonlance and World of WarCraft books, he has also penned numerous short stories, anthologies, and stand alone novels. His latest novel, World of Warcraft: Stormrage, was released n 2010 and became a national bestseller. Mr. Knaak’s books have been translated into over a dozen languages. Additional information on Richard A. Knaak can be found at his website: http://www.richardaknaak.com/. I was going to vlog about today's new releases, but will wait until tomorrow so that I can also include the December 1, 2010 releases. Instead I am going to write to my two local bookstores. There are no bookstores in my little town. In 2 of the towns that border my town there is a Borders and a Barnes & Noble. They are not in the same town. One is east of my town, one is west. I'd like to address each of them separately. Thank you for having most of the new releases on the shelves on new release day. I appreciate it. I really do. I also like how I can check to see if a book is in stock at your store via my computer early in the morning on release day. With new release list in hand I can check off what you have before I head to the store. However, when you tell me that you have a new release at your store, I do expect it to be on the shelves. I don't want to spend 30 minutes hunting around the store with you and then be told that the 3 copies your computer tells you that you have must be a mistake. 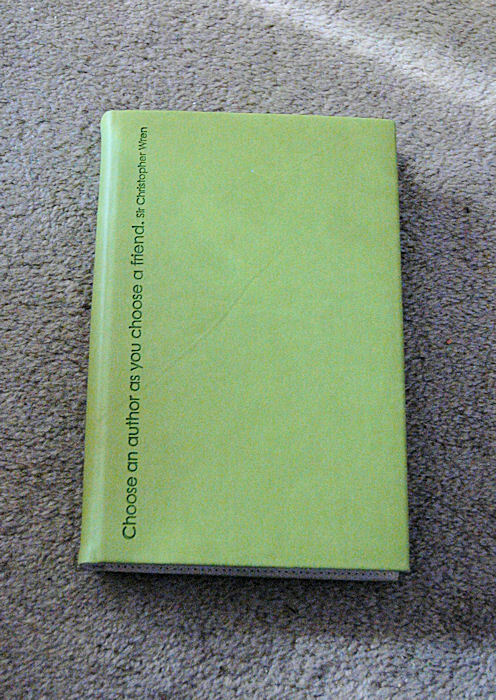 Possibly it's been mis-shelved because your computer system in not usually wrong. I like that you have New Release shelves! However, you have books on the new release shelves that are not exactly new releases. Stop facing out so many books in the new release sections. I know that most of them are not new releases and you do too. I imagine we define "new release" differently. This is especially a problem in the Romance section where you have rows and rows of out facing new releases. They take up more room so that it looks like you have a lot of books there, but, really, you don't. Also why do the teens get a Paranormal Romance section and I don't? I just bought a NOOKcolor. Please let my B&N membership discount apply to Mass Market ebooks. Just a suggestion. All in all, B&N, you do a pretty good job of having the books that I want when I want them. Your staff is pleasant and knowledgeable. Thank you. Oh boy. Where to start. First of all I can rarely check to see if you have a book in your store from my computer on release day morning. It does not surprise me because you rarely have the new releases on the shelves on release day morning. They are often still in the back of the store. That's not fair to me or the authors. In my mind you have an obligation to have new releases on the shelves on release day when your doors open. B&N opens an hour earlier and they have the books out on the shelves and their online information updated. What's the point of having a release DAY if I can't find the book when I come into the store? Yes, I know not everyone must have a book on release day. I'm weird like that. 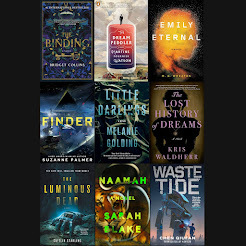 I do appreciate the offer that if I drop off a list ahead of time, the new releases that you have will be pulled for me. That's incredibly nice, but it should not have to be that way. Your in store computer system is really nice. I like being able to look up books by myself. Other bookstores should allow that also! I do have one complaint about your online information. I can't stand the "likely in store" status that you use. The book is either in the store or it's not. I imagine it's a software issue. Your sales are not updated immediately so you don't know if a book is really there or not. Fix that so you don't appear so mamby pamby. I know it allows you to hedge. "Likely" does not mean "certainly" so if it's not really there you've got an out. I prefer B&N's "In Stock" to your "likely in store." Finally, please be better about getting in the new releases that you are supposed to have. I called about a new release this morning. You told me that the book was "In Transit" so you've no idea when the book will actually arrive. Again, your software needs to be fixed. You should know what you have and when it will be in your store on a real time basis. Other than that I can't complain. Your staff is friendly and as helpful as they can be. Your store is beautiful. Your new Borders Rewards Plus card is awesome. Your café has the best hot chocolate ever! Thank you. Qwill's Qwestion: How does your local bookstore stack up? Any pet peeves? Any suggestions? Here are some book trailers for this week's releases. I've also included a couple of Author Profiles. Happy Monday. I hope that for all who celebrated Thanksgiving you had a happy holiday. There are quite a few new releases for Tuesday, November 30, 2010, and Wednesday, December 1, 2010. Look for a vlog on with new releases on Tuesday, but only with the Tuesday releases of course. On Wednesday, there will be a guest post by Nico Rosso, the author of Taken to the Limit, a Sci-Fi Romance. Come back to see what he has to say about romance and answer the question that he poses for a chance at an e-book of Taken to the Limit. Thursday will be comics, but later in the day than normal since comics are not delivered to the stores until Thursday because of the holiday last week. That's what I've been told. Friday will be the usual Friday photos. 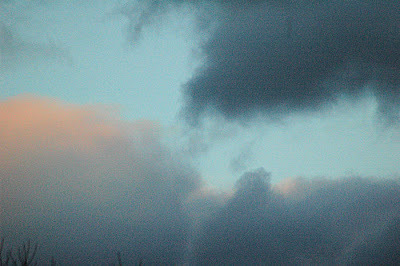 Maybe the moon (not again! ), or something from the archives, or something else. Here's a list of the releases for Tuesday and Wednesday of this week. Remember release dates are subject to change! 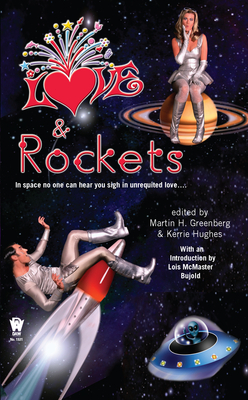 *Previously published as a Trade Paperback. I have never stood on line anywhere on Black Friday. This year was no exception. I did go out to breakfast with the small humans. We chatted with other diners who had been out since 3:00 a.m. shopping. They were fueling up for the next round of shopping. After breakfast, we headed over to a bookstore. 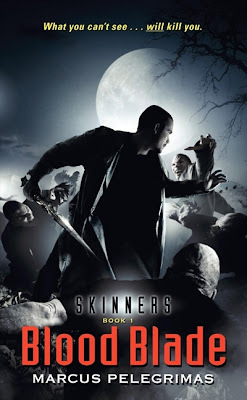 I picked up the first three books in the Skinners series by Marcus Pelegrimus. Book 4 was released in October, and I picked it up at release. Sometimes when buying books from a new to me author, I get a book well into a series. Then I pick up the earlier books. Welcome to the nightmare . . . There is a world you don't know about, inhabited by supernatural creatures of darkness—vampires, werewolves, and all manner of savage, impossible beasts that live for terror and slaughter and blood. They are all around us but you cannot see them, for knowledge of their presence—so close and so hungry—would surely drive any ordinary human insane. But for centuries a special breed of hunter has kept the monsters at bay, preventing them from breaking through the increasingly fragile barriers protecting our mortal realm. These guardians are called skinners. But beware . . . for there are very few of them left. No one said fighting monsters was going to be easy . . .
You can't see them, but they're here: hiding in the pools of shadow outside a Chicago burger joint . . . wreaking havoc in Kansas City . . . feeding in sleazy "blood brothels" that cater to humans who itch to get bitten. Cole was designing video games when he learned the truth—that foul creatures of the night lust for our blood . . . and our world. Now he's a "Skinner," a member of an ancient secret society of warriors entrusted with keeping the terror at bay. Monsters once chained to the wilderness are suddenly free and descending, razor claws ripping, on the unsuspecting city. No one knows what's coming—but Cole and his seductive partner, Paige, will be the first to dive into the meat grinder. 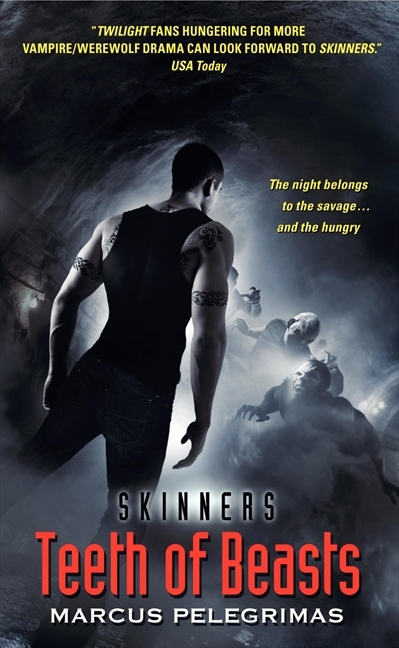 Horrible things move through the shadows of our world—bloodsuckers, Full Bloods and mongrel beasts, shapeshifters and minor freaks. 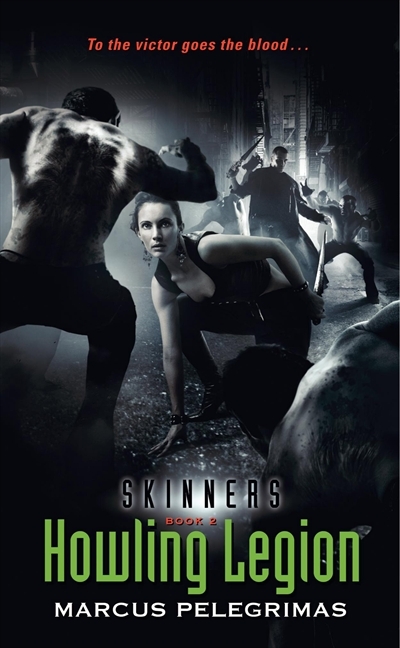 For centuries creature hunters known as Skinners have protected humankind. But who protects the Skinners . . . from madness? Unbeknownst to the human population, a pestilence is raging through an unseen community of low-level monstrosities. What seems, at first glance, a boon for the mortal cause has horrific connotations—as the Skinner team of Cole Warnecki and Paige Strobel races across the Midwest to uncover the shocking secret of the “Mud Flu.” For a nightmare of destruction and blood sacrifice is looming—one born of an unholy meeting nearly two centuries ago—that will pit man against beast, and Skinner against Skinner. A legendary Skinner has passed. Among the articles he left behind are runes, potions, and powerful weapons to aid in the ongoing war against the unspeakable creatures that prowl the shadows outside normal human consciousness. But there is something else: the remains of a terrifying beast no other Skinner has ever encountered. And it isn't dead. Skinners, partners, lovers, Cole Warnecki and Paige Strobel are well armed with the tools the late Jonah Lancroft provided. But even his best weapons may not be enough to defeat the monstrosity they now face. A new terror has risen up to infect them both with its virulent malevolence, even as Paige confronts the secrets of her astonishing past. The purest evil walks the world again—the First Deceiver, humankind's darkest nightmare, the self-proclaimed King of the Full Bloods. I also did a little online shopping. 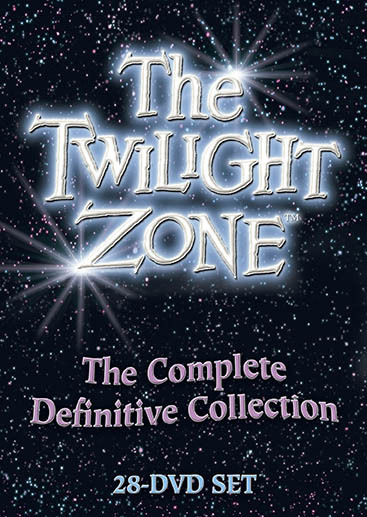 I purchased ﻿Zumba Fitness (Majesco) and The Twilght Zone: The Complete Definitive Collection (Image Entertainment). Another Thanksgiving is over. Thankfully I made a huge turkey so we'll be enjoying turkey sandwiches and leftovers for a while. Part of this year's Thanksgiving for me was passing on some recipes to my children, I showed my daughter how to make my Mom's chestnut stuffing. My son made the veggies. 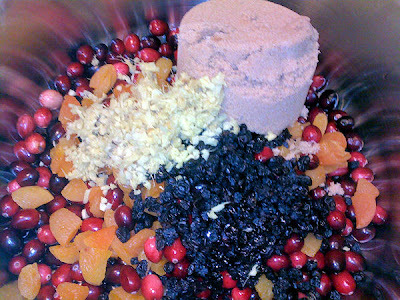 It's a recipe I found a few years ago that has become a Thanksgiving staple for us. Oddly, he likes to make the dish but will not eat vegetables. 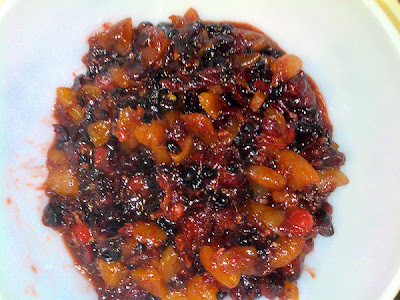 My daughter made the Cranberry-Ginger Chutney for the first time while I watched and took photos. She did an excellent job. It was a light comics week for me. Here are my favorite covers. 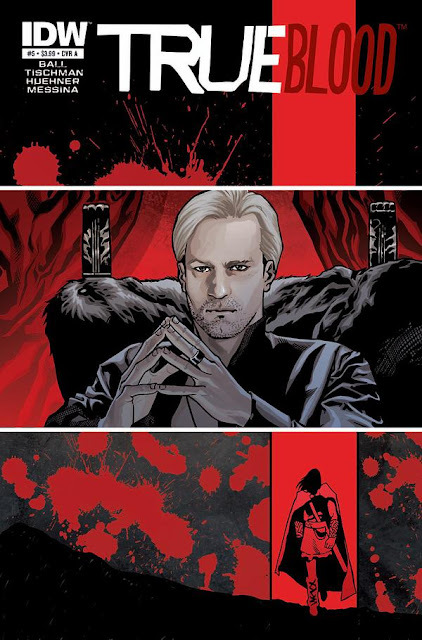 There are additional incentive and variant covers. Quirk Classics is offering a 15% discount at the Quirk Classics Zazzle.com store from now until December 31, 2010 at 11:59pm PT! 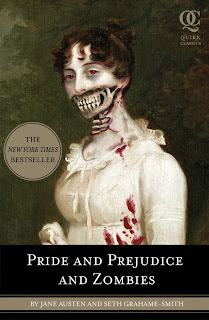 Quirk Classics is the publisher of many of the Mash Ups you'll find on my Mash Ups and More page including Pride and Prejudice and Zombies, Android Karenina, and Sense and Sensibility and Sea Monsters. There are shirts, skateboards, mugs, stickers, tote bags and much, much more to choose from. Just use the coupon code QLAUNCHPROMO to receive your 15% discount. 15% of the net sale price for http://www.zazzle.com/quirkclassics products will be deducted when the coupon code QLAUNCHPROMO is applied at checkout. The net sale price is the price of the product (excluding shipping and taxes). For Zazzle Custom Stamps, the net sale price is the difference between the price of the Zazzle Custom Stamps (excluding shipping and taxes) and the face value of the postage. Offer is valid through December 31, 2010 at 11:59pm PT. This offer does not apply to past purchases and may not be combined with any other Zazzle promotional or volume discount offers. If a volume discount applies to your order, you will receive either the discount set forth in this offer or the standard volume discount, whichever is greater. Offer valid on Zazzle.com only. This is one of my absolute favorite dishes that I serve at Thanksgiving. It can be a little spicy or not. 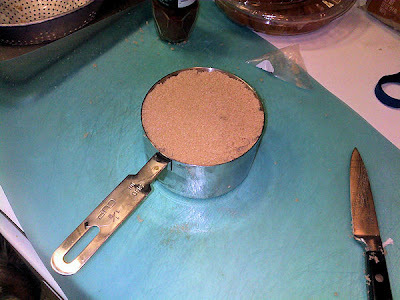 Just adjust the amount of cayenne pepper that you add. 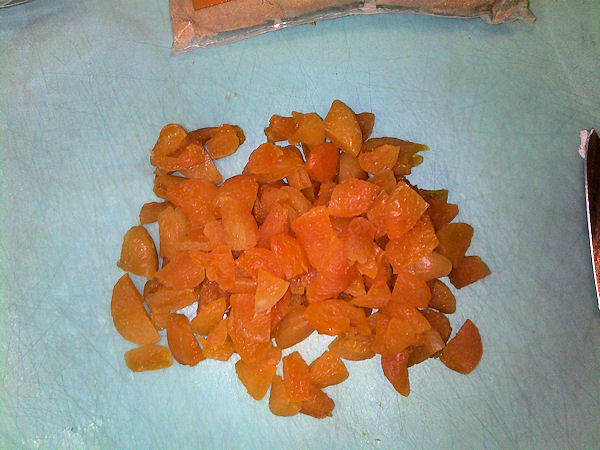 I suggest that you at least double the recipe because it's really good. Combine all ingredients in heavy medium saucepan. I don't remember from which cookbook I got this recipe. 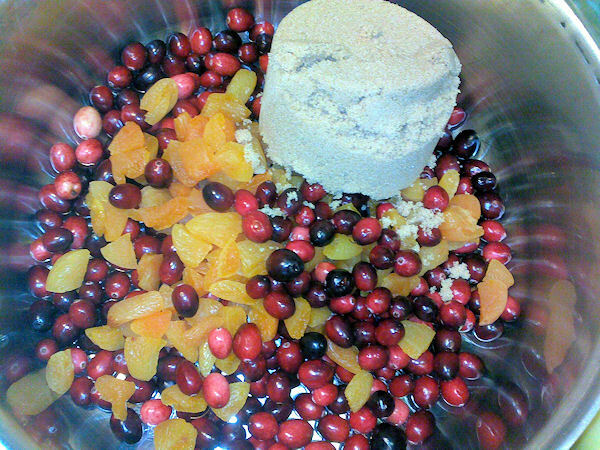 I believe it's from the Holidays Cookbook by Virgina Hoffman. I'll attribute it properly when I find the cookbook. I have over 1,000 cookbooks so that may take a while. I'll post pictures of the Chutney when I make it later today. The stuffing is delicious. I love chestnuts. 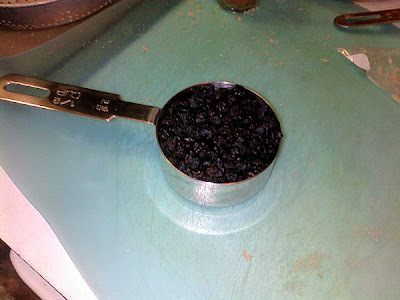 I finally learned the secret of roasting them properly last year! 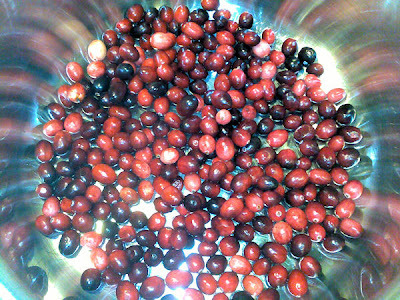 Potatoes = red bliss potatoes and sweet potatoes. 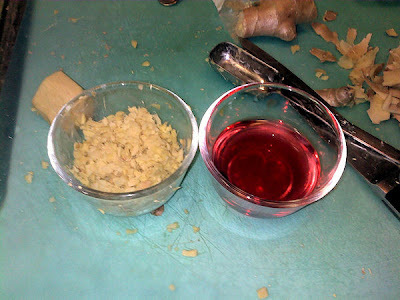 This is a Giada De Laurentiis recipe. I don't entirely remember this recipe, but a friend of my Mom's submitted to the newspaper and it was printed a couple of weeks ago. It's really easy and looks nice. The recipe is from the Everyday Food magazine a few years ago. I also bought a pumpkin pie and an apple pie. I'll roast the chestnuts this evening and make the Chutney as well. Everything else can wait until tomorrow. I'll be up early to put the turkey in the oven. It's a big bird and needs time to cook just right. 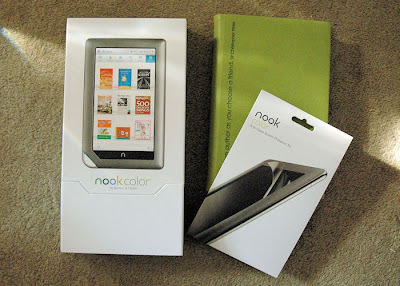 I ordered my NOOKcolor via my local Barnes & Noble. Just called them up and placed an order. No deposit required. I was told that it would be available on November 26, 2010. They would call when it was in. 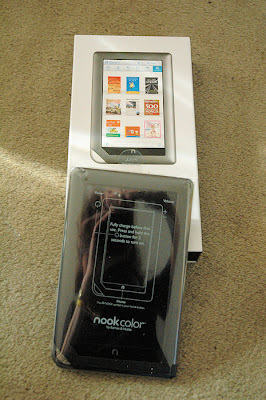 Yesterday, 4 days earlier than expected, I received the call that my NOOKcolor had arrived. While I had 2 days to pick it up, I went to get it more or less immediately. Here are the unboxing photos. Still unwrapped NOOKcolor with its accessories. The accessories are a wall charger and a USB cable that is used both to charge the NOOKcolor by plugging into the wall charger and to connect to a computer. A quick start guide is also included. 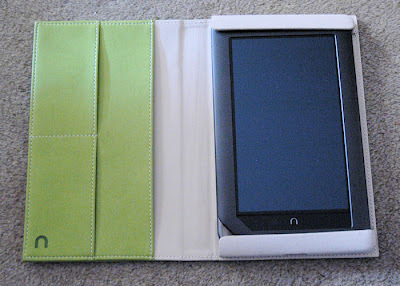 My NOOKcolor in its cover. 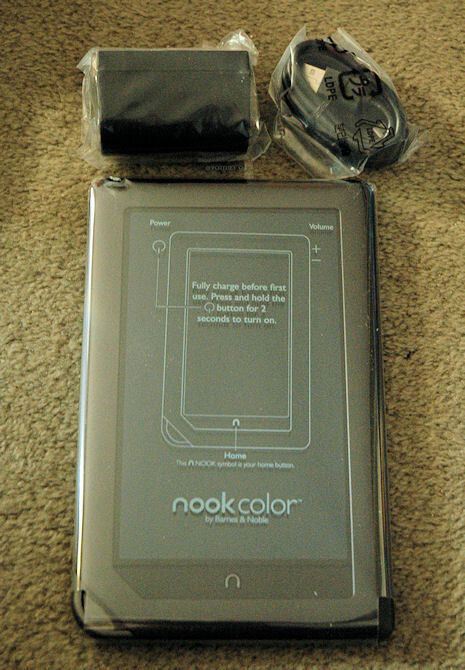 The NOOKcolor has to be charged before first use. When it's plugged in a video starts that welcomes you to the NOOKcolor and explains some of the features and helps you through initial setup. I connected to both my B&N account and my home WiFi network easily, which is necessary to register the NOOKcolor. My NOOKcolor was fully charged quickly. My guess is that is was almost fully charged when I received it. I had no trouble navigating and found it highly intuitive. I was able to move Adobe Digital Edition (ADE) books to it with ease via the USB connection to my laptop. I'd read about some issues with ADE. I had no problems. I have not tried emailing myself a book to add it to my files. So far my experience with the NOOKcolor has been excellent. the screen is crisp and navigation is easy. I'll write more when I've used it for a while. I still need to purchase a microSDHC card for it. 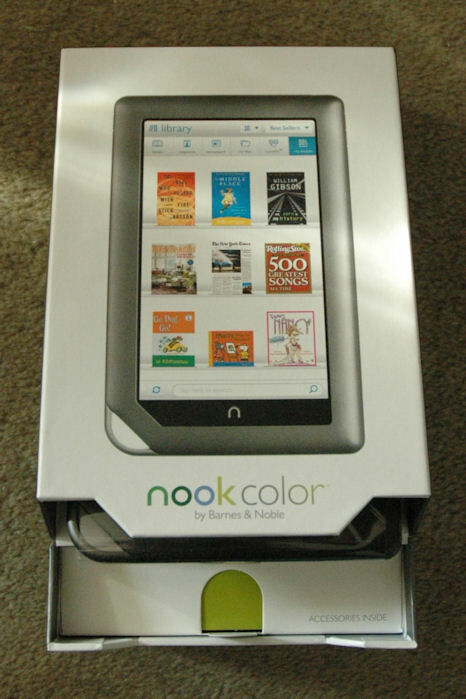 The NOOKcolor can use up to a 32GB card. Each GB holds approximately 1,000 books. That would be approximately 32,000 books. Can you say 'Nirvana?" 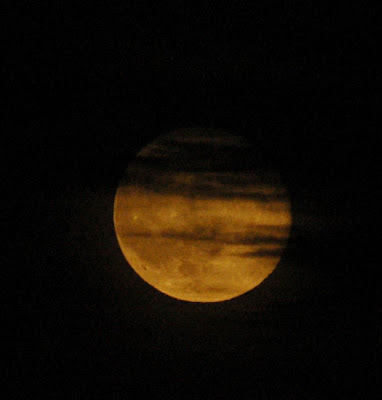 The Moon was utterly spectacular tonight. 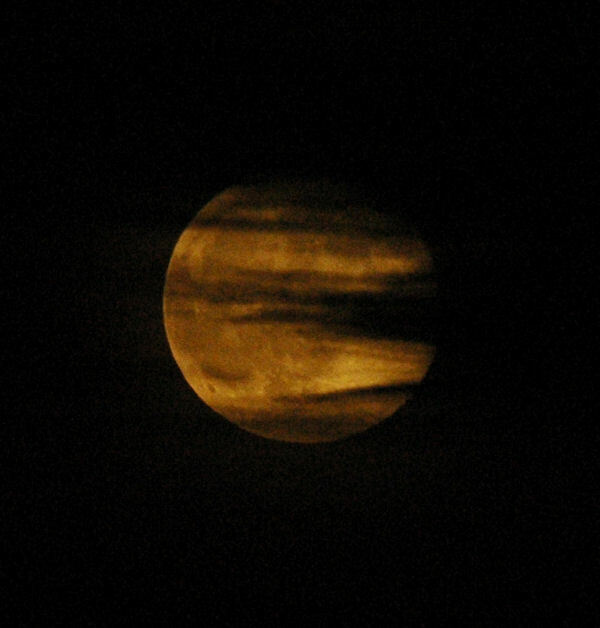 It was a deep orange. 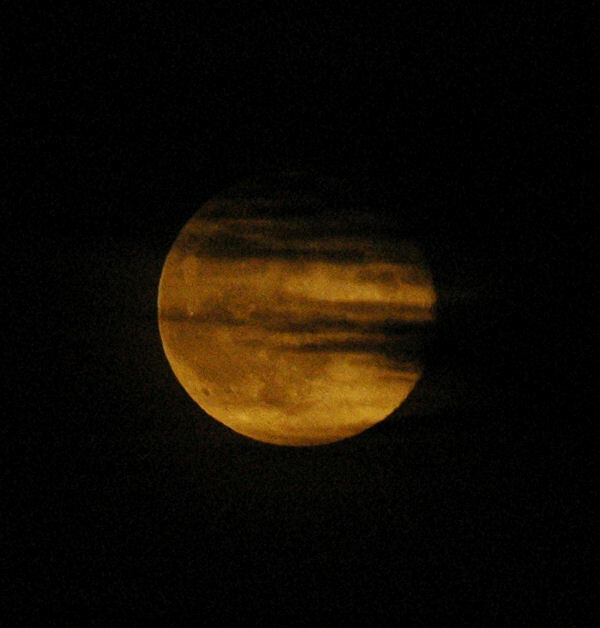 With the clouds moving in front of it, it looked less like our Moon and more like some exotic planet. This is going to be a less than productive week on the book front. Thursday is Thanksgiving in the US. You may get to see photos of my roasted turkey at some point or my Cranberry Ginger Chutney. There will be no vlog on Tuesday because there are not many books coming out. Quite frankly, I'm not sure what is going to happen this week. 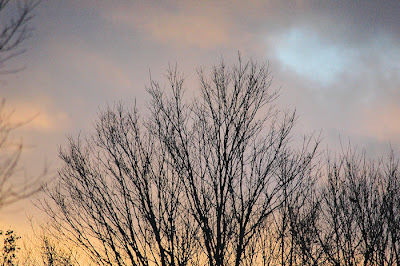 I will try to blog each day, but the holiday may interfere. Here are the new releases for Tuesday, November 23, 2010. ** Update - will be published on December 1, 2010. Alan Dean Foster’s brilliant new novel is a near-future thriller that has all the dark humor and edgy morality of an Elmore Leonard mystery, in addition to the masterly world-building and quirky but believable characters readers expect from Foster. 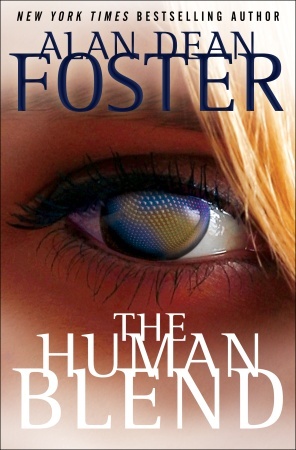 This gripping adventure reveals a place where criminals are punished through genetic engineering and bodily manipulation—which poses profound questions about what it means to be human. Given his name because radical surgery and implants have reduced him to preternatural thinness, Whispr is a thug. His partner in crime, Jiminy Cricket, has also been physically altered with nanocarbonic prosthetic legs and high-strength fast-twitch muscle fibers that give him great jumping abilities. In a dark alley in Savannah, Whispr and Jiminy murder what they take to be a random tourist in order to amputate and then fence his sophisticated artificial hand. But the hapless victim also happens to be carrying an unusual silver thread that appears to be some kind of storage medium. 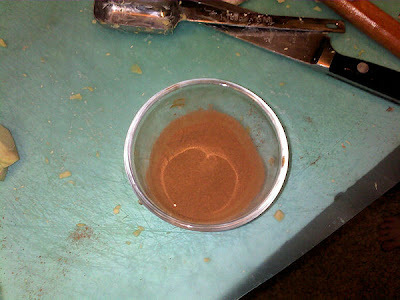 Ever quick to scent potential profit, Whispr and Jiminy grab the thread as well. Chance later deposits a wounded Whispr at the clinic of Dr. Ingrid Seastrom. Things have not gone smoothly for Whispr since he acquired the mysterious thread. Powerful forces are searching for him, and Jiminy has vanished. All Whispr wants to do is sell the thread as quickly as he can. When he offers to split the profits with Ingrid in exchange for her medical services, she makes an astonishing discovery. So begins a unique partnership. Unlike Whispr, Ingrid is a natural, with no genetic or bodily alteration. She is also a Harvard-educated physician, while Whispr’s smarts are strictly of the street variety. Yet together they make a formidable team—as long as they can elude the enhanced assassins that are tracking them. As a soldier, Cole Granger fights to restore peace to a world divided by war and evil. His extraordinary talents are enlisted to prevent the president's horrific premonition from becoming reality. Nothing—and no one—will stop him from fulfilling his duty. Especially the mysterious young woman who claims to be his comrade's sister. Enemy or ally, he can't yet determine. But one thing he knows for certain is that he must keep her close. Very close. Megan Fox's quest to uncover a family secret leads her to the center of vampire riots in West Virginia. To find the answers she needs—and clear herself of suspicion—she must join forces with Cole. They work undercover to bring justice, but they can't disguise the potent attraction and need that draw them together. 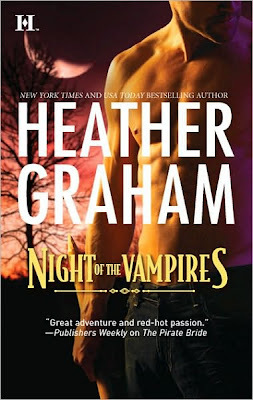 Yet trust doesn't come easily for Cole…and when Megan unearths the grim, dark truth, can she trust him to believe her? Saving humanity from the supernatural has been challenging lately—even for a well-trained earth Sybil like Bela Argos, who must harness the magic of a fractious group of warrior sisters and battle a new wave of paranormal attacks. Another challenge is Duncan Sharp, the hunky NYPD detective who might turn into a demon overnight and devour Bela in her sleep. Still, the darkness taking over Duncan’s body can’t stop the molten heat unleashed by the intense attraction between them. Duncan has two major problems: First, he has the soul of a suspected serial killer hitching a ride on his vibe. Worse (yes, worse) he’s got a demonic fever raging inside that promises a world of hurt for everybody, especially Bela. Now he’s all about getting even with the demons that put this freak curse in his blood—satanic forces that dare to unleash their savage lust on Duncan’s soul, his city, and the woman he loves. There's a Blue Moon tonight. The Moon is not actually blue. 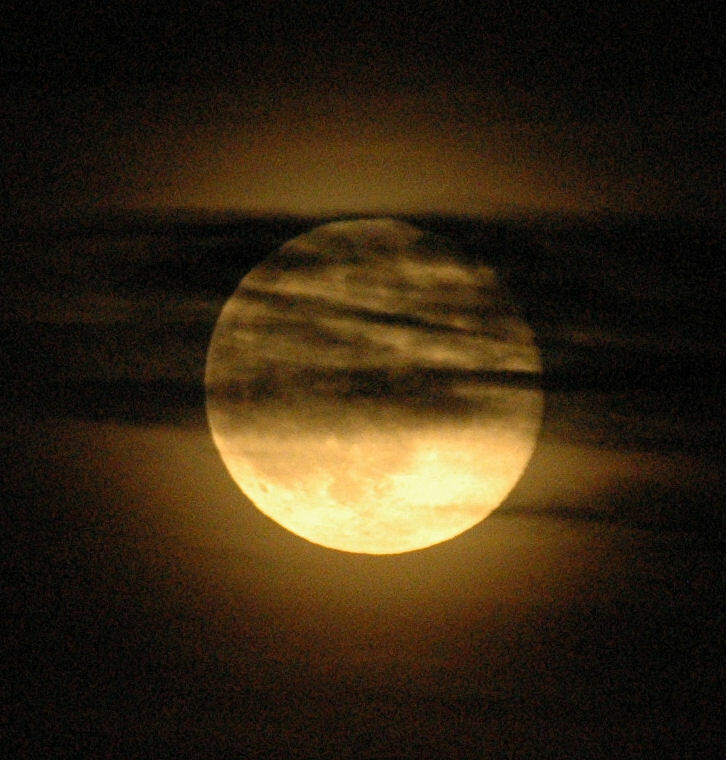 There is a sort of twisted history regarding the naming of the Blue Moon. You can read about it here. 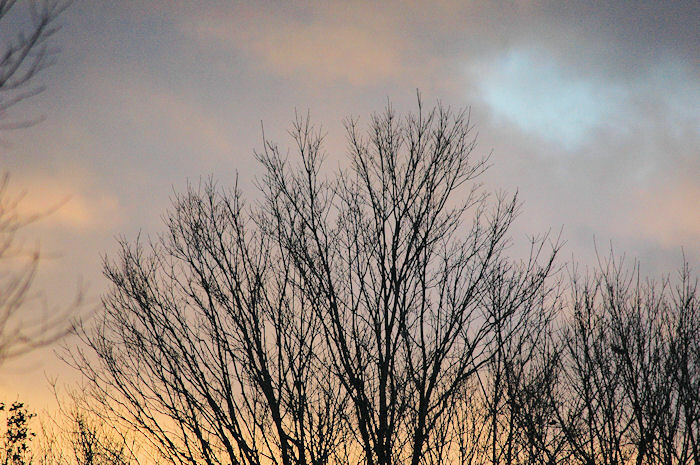 Blue Moons happen... once in a blue moon. 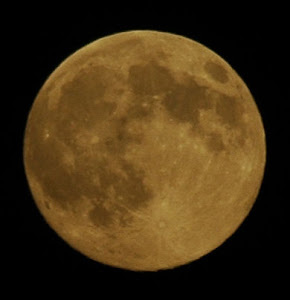 Here is a photo I took of tonight's Blue Moon. 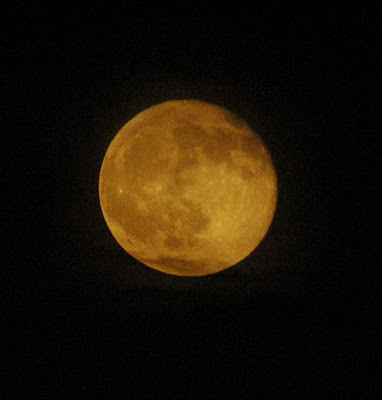 It's hazy tonight so the photo is not as sharp as I'd like. 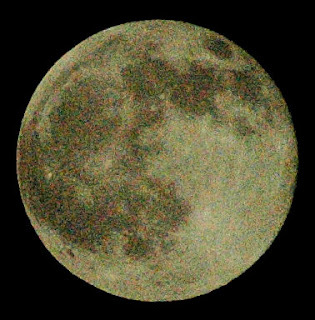 Blue Moon is one of my favorite songs. 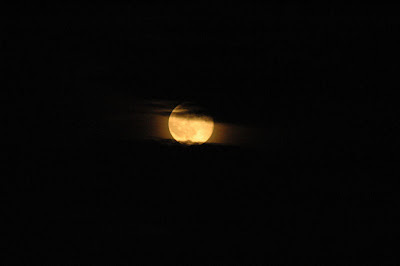 Here is the incomparable Ella Fitzgerald singing "Blue Moon." The holidays are coming up so I've been doing some window shopping online. Here are some things that caught my eye. An Official Doctor Who Tardis USB hub. Who doesn't need a Tardis? 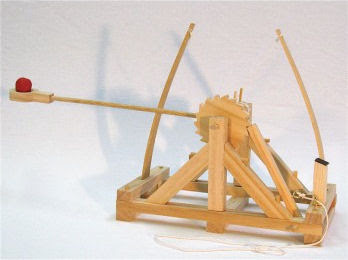 A Da Vinci Catapult Kit. It works. An Orrery Kit. 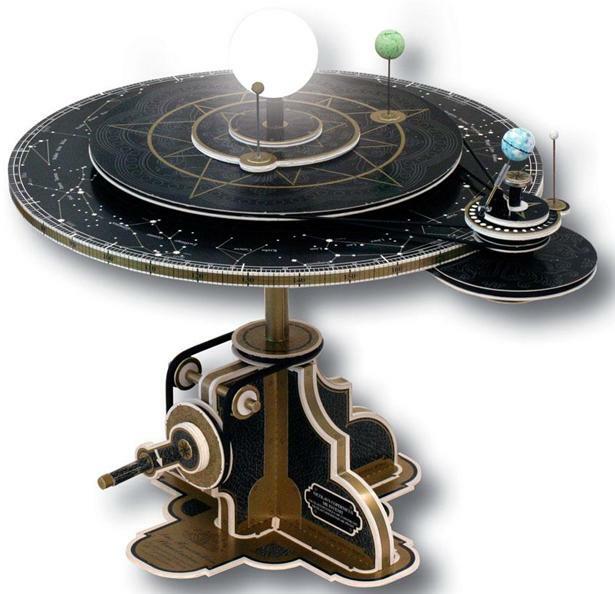 I am fascinated by not only the solar system but the mechanics of the orrery. 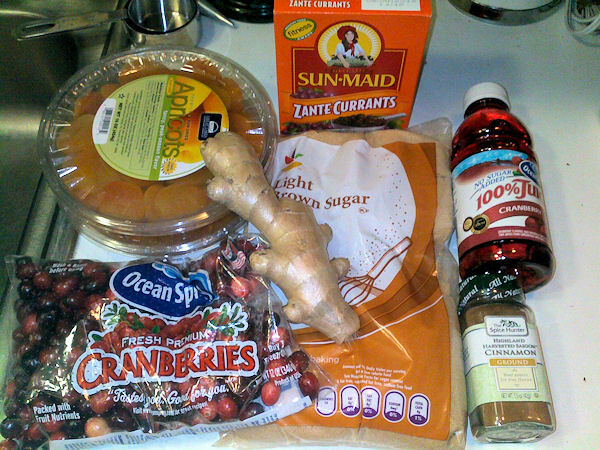 Qwill's Qwestion: Is there anything unusual that you'd like for the holidays? Here is my list of December 2010 releases. 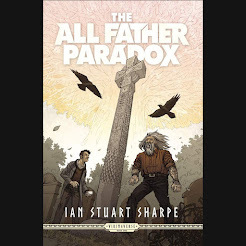 This month I've included the gernre or subgenre that I thought fit the book. A key to the abbreviations is below. I'm not sure I will continue to do that. Let me know what you think. Release dates are subject to change. Covers for anthologies are below. 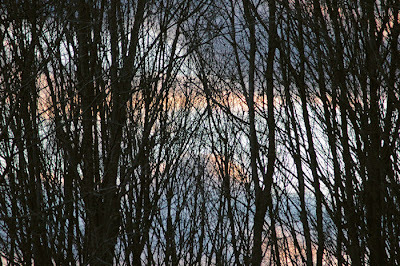 If there is something that I've missed, please leave a comment. Also note that this list is always under revision. Today I received a missive from Miss Elizabeth Bennet*. Miss Bennet wrote this letter to warn about the danger overrunning England (where she lives). That danger is dreadfuls or unmentionables or as we know them better - zombies. It turns out that Miss Bennet has purchased a computer in order to keep all of us apprised of what is happening. 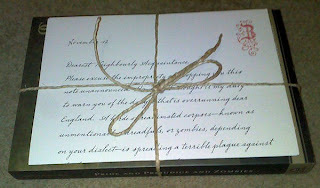 You can find links to Miss Bennet's correspondence at quirkclassics.com/zombies. You also can keep up with the digital goings on of Mr. Fitwilliam Darcy, Mrs. Bennet, Mr. Bennet, Mr. Bingley, Jane and Lydia Bennet, Mr. Wickham. Charlotte Lucas, and Mr. Collins. Most of them now have Facebook accounts! Elizabeth Bennet and Mr. Darcy are on Twitter as well. And for tips on how to be a lady and more, you must read Mrs. Bennet's blog - 19th Century Mombie. 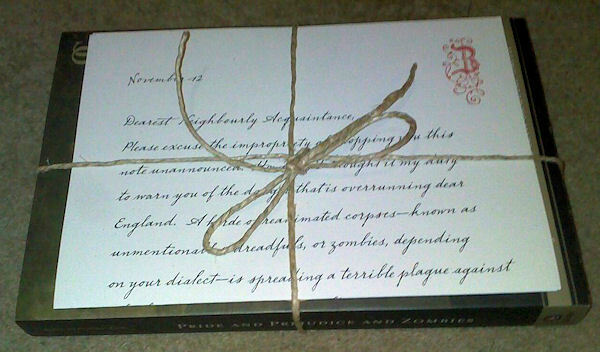 Miss Bennet was also kind enough to send me a copy of Pride and Pejudice and Zombies. Since I already have a copy, I'd like to pass along the copy she sent to one commenter. Pride and Prejudice and Zombies features the original text of Jane Austen’s beloved novel with all-new scenes of bone-crunching zombie action. As our story opens, a mysterious plague has fallen upon the quiet English village of Meryton-and the dead are returning to life! Feisty heroine Elizabeth Bennet is determined to wipe out the zombie menace, but she’s soon distracted by the arrival of the haughty and arrogant Mr. Darcy. What ensues is a delightful comedy of manners with plenty of civilized sparring between the two young lovers-and even more violent sparring on the blood-soaked battlefield as Elizabeth wages war against hordes of flesh-eating undead. Complete with 10 wonderfully graphic illustrations, this insanely funny expanded edition will introduce Jane Austen’s classic novel to new legions of fans. What: One commenter will win a trade paperback copy of Pride and Prejudice and Zombies by Jane Austen and Seth Grahame-Smith. The letter and string are not included. How: Leave a comment telling The Qwillery what you would do if you spotted a zombie. If you don't tell The Qwillery about your zombie spotting reaction your entry will not be counted. 3) Mentioning the giveaway on your own blog or website. It must be your own blog or website; not a website that belongs to someone else or a site where giveaways, contests, etc. are posted. Who & When: The contest is open to all humans on the planet earth with a mailing address. Contest ends at 11:59pm US Eastern Time on Friday, December 3, 2010. *Yes, I know that Miss Bennet is a fictional character and that the publisher sent me the letter and book. Just play along. Some photos I took on the 17th. 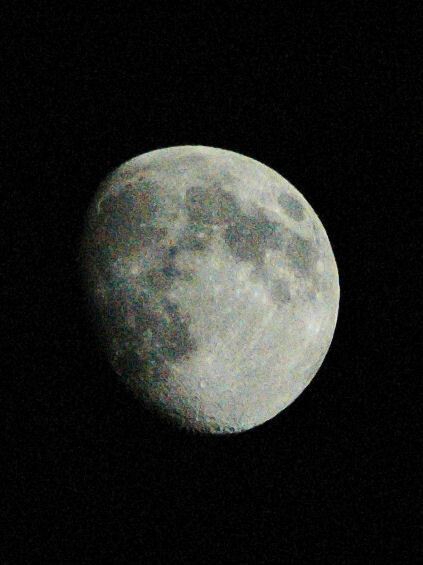 It's been cloudy most nights lately, but I did manage to snap the moon on the 17th. 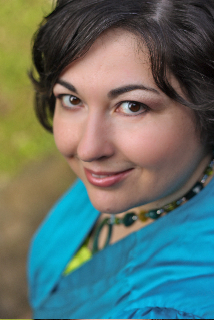 Please welcome author Stephanie Dray to The Qwillery. Stephanie: I suppose it’s that endings are difficult to me. I hate writing them. Maybe it’s because I don’t ever want to say goodbye to the characters that I love so much or maybe it’s because I want to make certain that my ending has resonance with my beginning. But I’m always happiest at the beginning of a novel than at the end! Stephanie: Some of my favorite writers from the fantasy world are George R. R. Martin and Robin Hobb. Some of my favorites from the historical fiction side are Margaret George, Philippa Gregory, and Susan Fraser King. Truthfully, I’ve been influenced by all these writers. With respect to writing Lily of the Nile, however, I was heavily influenced by Beatrice Chanler, whose book about Cleopatra Selene led me to re-imagine the religious side of her story in a more modern way. Stephanie: I’ve increasingly become a plotter, both because I get paid for turning in outlines and proposals and because the planning of a story is quite a bit of fun! With Lily of the Nile, I spent a lot of time re-writing because the work evolved from an alternative history into something that hewed close to history and injected magic realism into the mix. 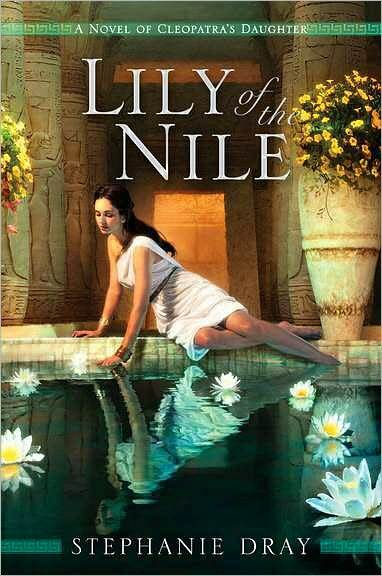 TQ: Lily of the Nile is the story of Princess Selene, the daughter of Cleopatra and Marc Antony. Why did you choose Princess Selene for your debut historical fantasy? Stephanie: I think she chose me. I’m not normally one of those writers who ramble about their muse or talk about how their characters speak to them. However, when it comes to Selene, I truly was inspired. I was trying to write a different book--an alternative history about how the world might have been different if Selene’s brother Caesarion had lived. But Selene kept interrupting my thoughts in first person narrative--something that’s never happened to me before or since. The more I learned about her life as an orphan, a prisoner of Rome, and a queen in her own right, the more her story touched me, and the more I wanted to memorialize her. Selene isn’t one of the bad girls of history, but she deserves to be remembered. TQ: What sort of research did you do for Lily of the Nile? Stephanie: First, I read every fictional account of her life that I could find. Then I went back and studied all the ancient sources and scholarly books about Selene’s life, the most important of these being Duane W. Roller’s The World of Juba II and Kleopatra Selene. After that, it was clear that Selene’s story was indistinguishable from the story of Augustus and I set out to learn everything I could about Rome’s first emperor, his family, and his fate. I’m always looking for an opportunity to visit Rome, Algeria, Morocco and Egypt, so I guess I’ve never stopped researching this period. TQ: How important is historical accuracy when melding history and fantasy? Stephanie: History matters a great deal to me. For the sequel to Lily of the Nile, I considered fermented rotting shellfish in my backyard to reproduce the recipe for imperial purple dye. But as a novelist, I acknowledge that my first duty is always to the novel. Magic was real for the Egyptians and the Romans, so it is real in my book. If I must slip the timeline a bit so that my protagonist is at the center of documented events, I’ll do it and note it in my Author’s Note at the end of the book. I’m acutely aware that I am not a biographer and I would be happier if other authors were similarly honest about their work. TQ: If you could dine with three people from the past who would they be and why? Stephanie: Oh, what a delicious question. I’d certainly choose to dine with Cleopatra Selene and Juba II and learn all about their life together; all the things that were never recorded. I’m also fascinated by Thomas Jefferson. I’d be quite honored to just listen to him ramble on about anything he chose, though I might be frightened to tell him what’s happened to the country he helped build. Stephanie: This year will start out with the release of LILY OF THE NILE and the sequel, SONG OF THE NILE will follow in the autumn. I’m really excited about having these books come out one right after the other because I think they tell an inspiring tale about Selene’s journey from the helpless captive of Rome to the most powerful client queen in the empire. After graduating from law school, Stephanie Dray came to her senses and returned to her first love: storytelling. Using the transformative power of magic realism, she tells the stories of women in history so as to inspire the young women of today. Stephanie remains fascinated by all things ancient and has--to the consternation of her devoted husband--collected a house full of cats and Egyptian artifacts.